r scientific progress, and refuse to consider facts and knowledge. His previous book was mainly about evolution, the lovely “The greatest show on earth”. He really has a way of finding nifty titles. 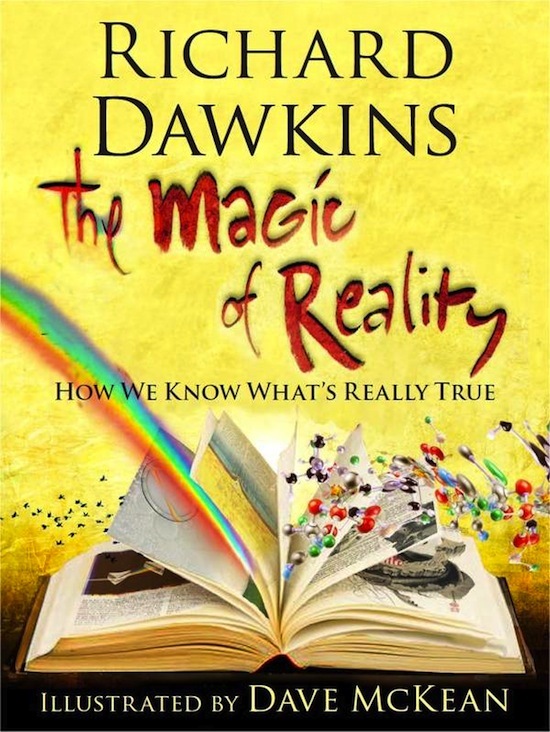 Now, I just finished The magic of reality, his newest book. This book is aimed towards the younger audience being more explanatory in the style of writing. Nevertheless, I enjoyed reading it. Most of the book deals with natural phenomena, and myths that science has helped getting rid of. We get chapters about the rainbow, the universe, big bang, time, earthquakes, the creation of the earth and so on. We get myths from ancient cultures and religions and see how science explain them all away, whether it is tribal lore or christian dogma. There is also an iPad version of the book, which I am thinking about purchasing as well. It is promised to be full of interactive content, and judging by the look of the paper edition of the book – it has to be great! I don’t know how Dawkins stands it, but he actually appeared on a TV show hosted by one of my favorite morons, Bill O’Reilly. O’Reilly being as obnoxious as usual (Seeing this from Norway, I had to check with my American twitter people that he really IS that bad all the time) and Dawkins doing his best to sport a smile when faced with stupidity and silly accusations. (Yes this is the guy that claimed noone can explain tidal waves, but God made sure there’s never a miscommunication (right before the wave hit USA terribly)). Douglas Adams Rhino Lecture web.mov video/quicktime Object. One of my all time heroes, Douglas Adams, unfortunately died long before his time should have come. The funniest writer I know, as well as being scientifically interested and interesting, his books are essential reading. On the link above you can find a memorial speech. My favorite book is his probably far most popular book, The Hitch-hikers guide to the Universe. I even liked the (a bit strange) movie they made from it. I know a lot of people were fond of the older BBC series as well. In addition I have to say they I really liked the book “A salomon of doubt”. I love the way he wrote about God and atheism. According to Richard Dawkins he might even be Richard’s “only convert”.